N: Grassy, gentle hay and a soft apple brandy sweetness. A dusting of nutmeg and raw brown cane sugar to finish off. After a few minutes, a little salination develops along with a rounding off of the spice and fruit that was present before. 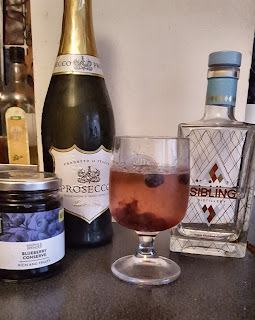 A little touch of alcohol spice comes even later, carrying with it a rhubarb-esque tartness. P: Smooth, with very little in the way of oaky tannins but LOADS of vanilla sugariness. Apple pie, but served with a pineapple coulis drizzled atop in lieu of custard. 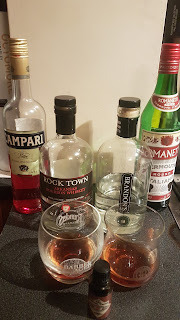 More spice creeps on in as the dram opens up. A treacly nature adds to the finish. N: Tart, tannic wood character, reminiscent of pickled walnuts. 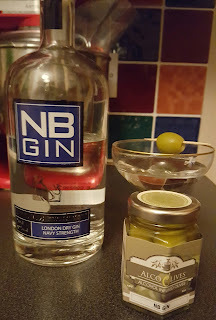 There's loads of dried mineraliness, a little chalk, and then pervasive citric notes - somewhere in between overripe lemons and Haribo Tangfastics. P: POW! You can certainly feel the hit of that cask strength. The mineral presence is definitely still apparent, accompanied by lemon verbena and a touch of paprika. Adding a splash of water is like slapping your grandad's armchair - musk, a little book dust, and just a wee touch of secret late night cigar. Highland Park 2004, 60.0% ABV. N: Dank red berries and juniper with a saline edge - like walking through the hedgerows on a windy cliff top on the North Yorkshire coast. In balance with this, there's caramelised bananas doused in a salted miso butter sauce. Invitingly multi-layered. P: Like licking a freshly sanded piece of oak. A little smoke fills the air, a chilli is simmering on the stove; cinder toffee meets cayenne pepper. For us, the ABV is not particularly pronounced, especially when considered in comparison to the previous dram. Smooth and sweet palatability. N: Earthy, dry saltiness. A stroll through a late evening herb garden, mint and lavender, the last smouldering vestiges of a forgotten barbeque. P:Dates, salted lemons, warming spice - cardamom and cinnamon - pomegranate seeds and just a suggestion of herbal freshness to finish. It's basically the startings of a really tasty tagine. Deliciously complex and very well balanced. We approve. Caol Ila Hermitage Wood Finish 2004, 45.0% ABV. N: A platter of kippers, salted meats, lemon and caper butter, eaten whilst overlooking the Mediterranean. 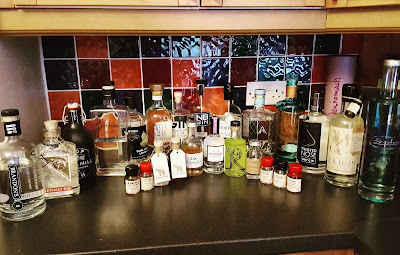 A few of our fellow tasters picked up on a prawn cocktail element - upon revisiting we could definitely get notes of the dust you find at the bottom of a packet of Skips! P: Robust umami character - cooking the day's catch over a driftwood fire in a seaweed-ridden grotto. 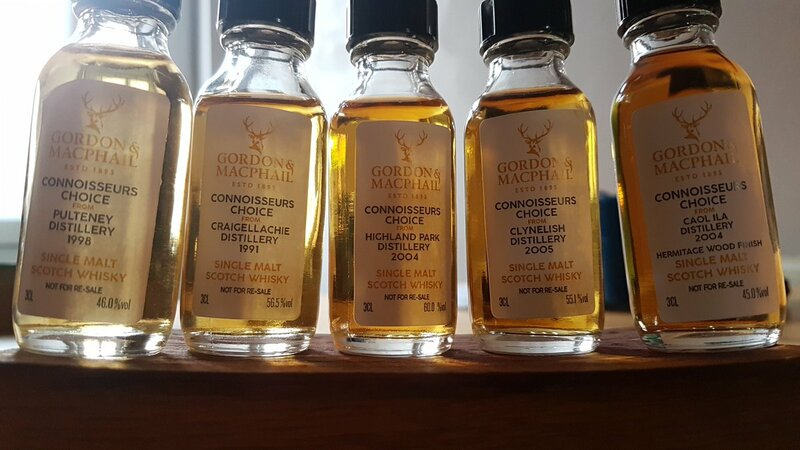 Bolder than your typical Caol Ila release and a complex surprise. Big thanks to Steve at the Whisky Wire, and Stephen Rankin and the team at Gordon & MacPhail, for inviting us to participate in this evening of delectable dramming. Last month we were introduced to Flavourly, an online shop specialising predominantly in beer and gin (although they do whisky, wine, and other spirits too!). 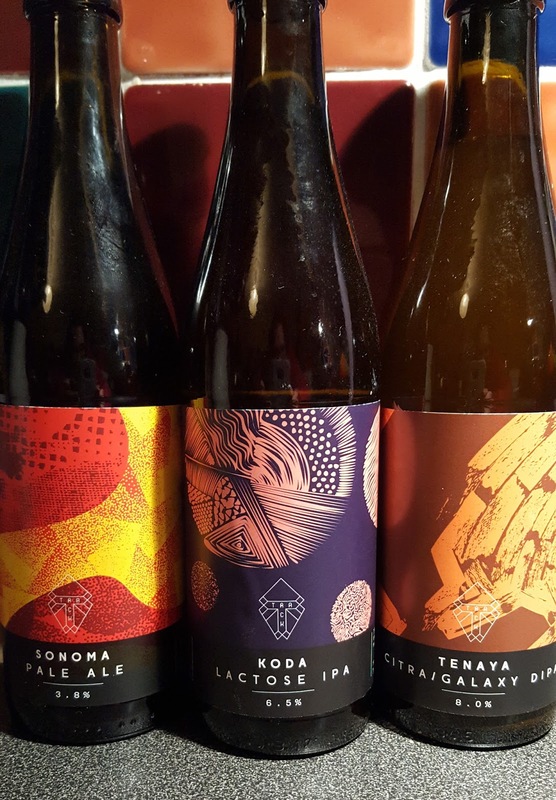 As well as providing an online bottleshop, Flavourly have also established their Craft Beer Discovery Club, a subscription service which delivers a personalised range of ten curated beers each month. 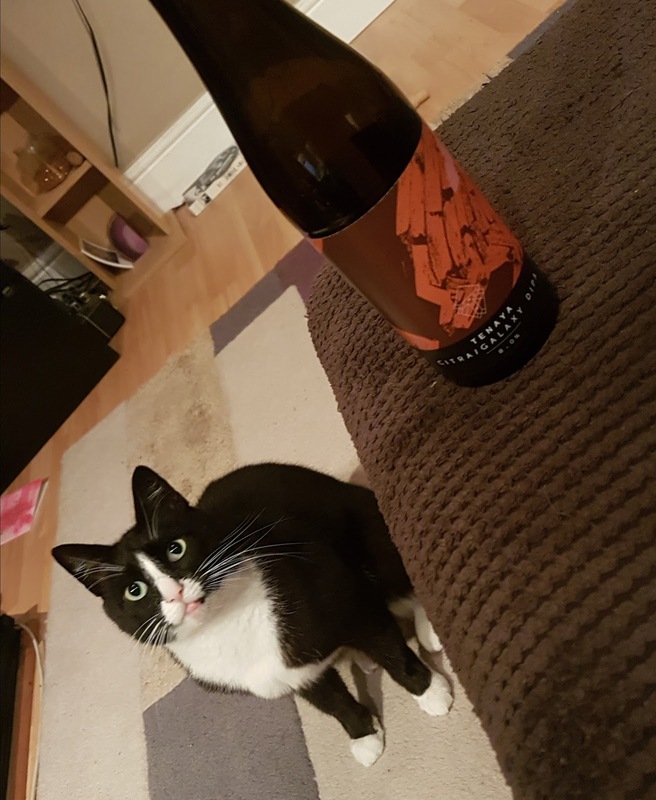 Our box contained exclusively beers from Fourpure Brewing Co, a brewery we're familiar with and have enjoyed visiting on the Bermondsey Beer Mile in the past. The box included some classic favourites but also some totally new beers including the Easy Peeler Citrus Session IPA, a recent addition to their core range based on a lower ABV version of their popular IPA, Juicebox. The box also contained 3 lagers, which is a style we wouldn't usually go for in a shop or bar, but it was a nice change to have the opportunity to try something different. We're not going to go into our tasting notes for all of these, but highlights for us were the vibrantly tropical Shape Shifter IPA (5.9%), the crisp and quaffable Indy Lager (4.4% and great alongside a pizza), and the well-balanced and robust Beartooth American Brown (5.3%). Also included within our box was the Flavourly Magazine, which we felt was a great touch. Inside were approachable tasting notes for each featured beer - we really liked the inclusion of recommended serving temperatures. There was also an in-depth article on the featured brewery which helped bring the beers in our box to life, alongside a piece on the four main beer ingredients, which was eminently readable - good for newcomers to craft beer as well as retaining relevance and interest for more experienced "beer geeks", a balance that can often be difficult to achieve. Other breweries were in the magazine so we assume that depending on your personal preferences (which it looks like you can easily change at any time) you may receive a different selection - for example, there were no dark beers in our box, so stout fans may have been a little disappointed, but the customisable elements of the club ensures that nobody goes thirsty! The second half of the magazine was dedicated to the gin box which looks great too - we particularly liked that each gin from the box had a suggested cocktail to try, as well as insights into the people behind the gin in more extensive interviews. Laura is a huge gin enthusiast as well as beer lover, and all three of the featured gins were totally new to her, so that's three more to pop on the "to try" list! Overall, we were really impressed with our first experience of Flavourly - you could say it's taking a bit of a gamble sending out a beer "discovery" box to two people who drink a lot of beer and are well integrated into the beer industry, but we were really pleasantly surprised by the selection included (both in the box we received, and in the wider selection sent out that the magazine showed was available). The customer service was helpful too and the magazine was a genuinely good read. 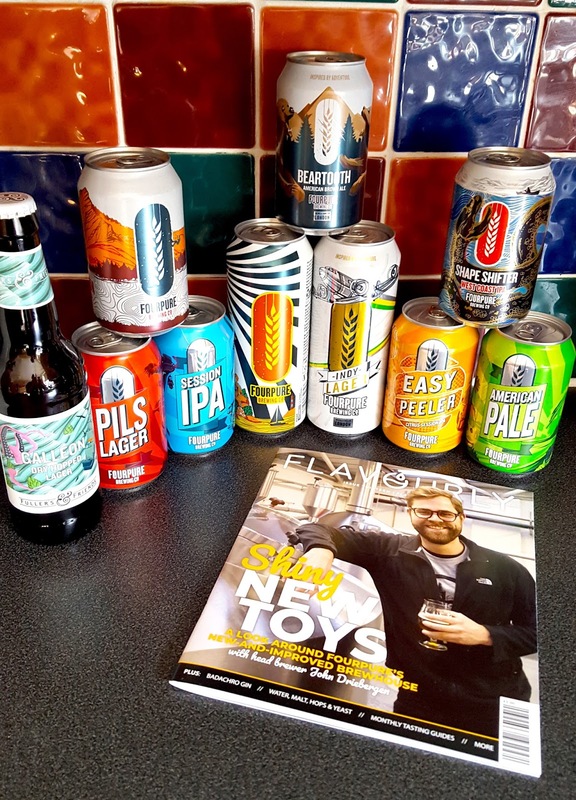 Disclaimer: We were sent the Craft Beer Discovery Club box free of charge from Flavourly. However this has not influenced our opinions, which are all our own. 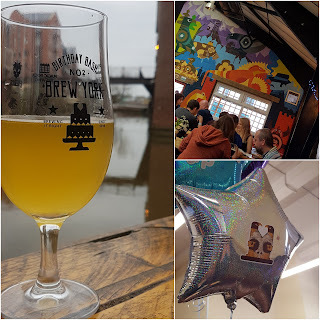 Brew York celebrated their second birthday this last weekend, and having been fans of theirs from their very beginning, we just had to pop by their taproom, based right within the city walls of York, to join the party. 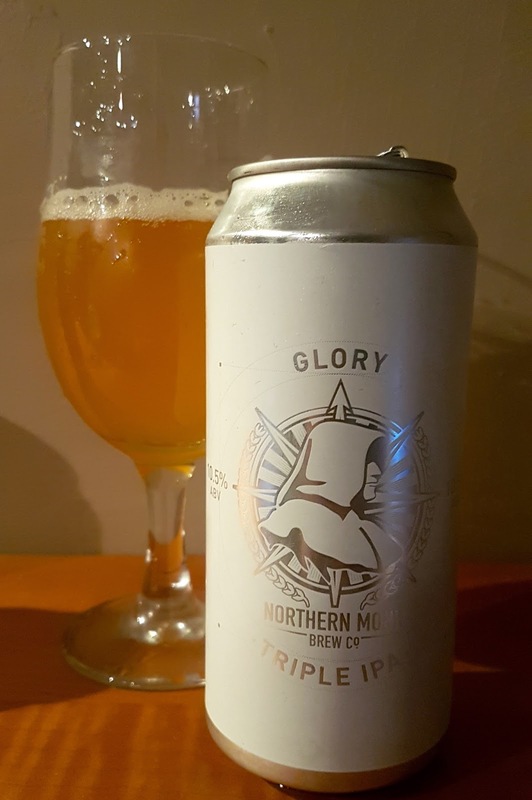 We've been consistently impressed since their inception by the level of balance they seem to have found between easy drinking, more traditional cask ales which suit the historical City of York and many of its locals, and the experimental, innovative and unique - often with pleasingly hilarious names. They've progressed massively in just two years and to top it off, co-founders Lee and Wayne are lovely chaps as well. As well as it being their birthday, this week Brew York have launched a crowdfunding campaign to support a new phase of expansion which includes the installation of a street food kitchen and a pilot kit. Work on the space for this is already well under way and formed the main area for guest bars and food offerings at the birthday party. We arrived in the early afternoon and started off gently with a Debaser Berliner Weisse, 2.8%. However, not content with offering just one version of this beer, there were FOURTEEN different syrups to choose from to add to them - we sampled pomegranate, passion fruit and lemon. Then it was on to a Juice Forsyth session IPA, chosen for the lols of the name but bursting with flavour and an excellent beer even without the punnage. 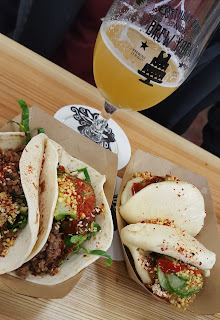 It was great to catch up with the guys from Fierce and Mad Hatter over a couple more beers as well, along with delicious Asian-inspired food from Street Cleaver. 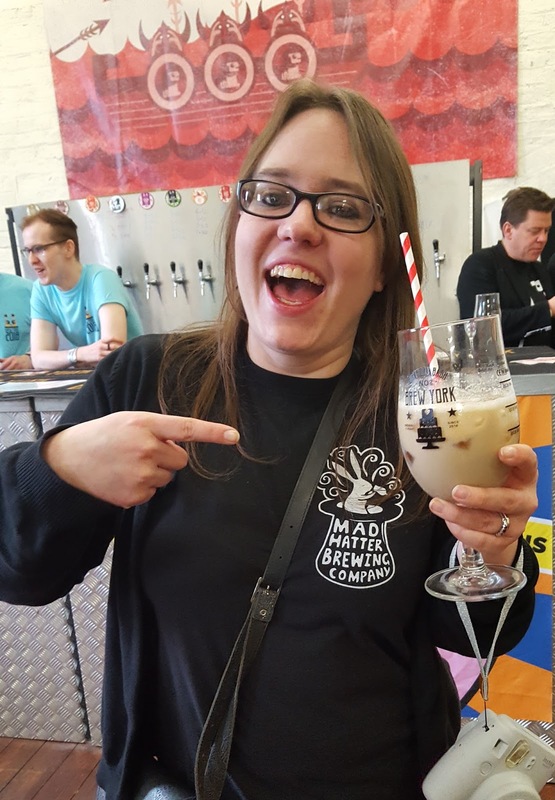 We couldn't go home until Laura had tried the total dreamboat combination of her favourite Brew York beer and her favourite all time cocktail - an Imperial Tonkoko White Russian! As the photo evidence below shows, it lived up to the astronomic expectations. Beer cocktails, or "Hoptails", are firmly on the agenda as part of the expansion and we can't wait to find out what other concoctions the team come up with (so much so, we've pledged on a masterclass as part of their crowdfund, get on board guys!). 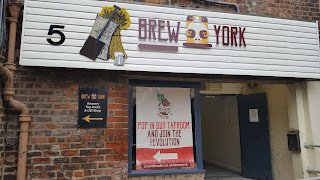 The event was a triumph - a brilliant showcase of everything Brew York can do (they had 8 casks and 21 kegs of their own on offer), with a great choice of guest breweries, food and cocktails, and a chilled and friendly atmosphere. The current tap room is an asset to York in its own right (it's even got a little beer garden right on the banks of the Foss) and the new space will only serve to enhance and amplify this. Happy 2nd Birthday Brew York, we look forward to watching you continue to grow and develop for many years more. 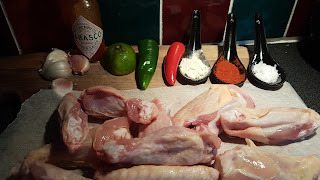 We've got a week off for our anniversary this week, so it felt like a good time to embark upon the noble quest of perfecting the cooking of the humble chicken wing. 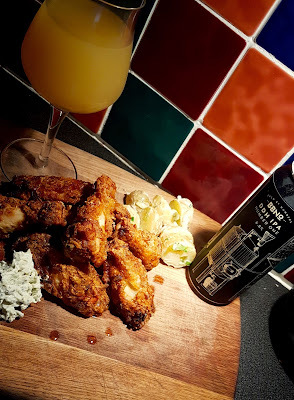 Wings have to be one of the best accompaniments to beers so we thought we would put together a couple of recipes of some of our favourites and suggested beers to pair with them. We always buy our wings from our favourite local indie retailer, Mr Pickles, as all of their produce comes from within Yorkshire and they place great emphasis on sourcing all their meat ethically. The chicken is free range and comes from Loose Birds farm in North Yorkshire. Each of the recipes below is for 12 wings, to serve two as a main course. First up is a classic wing, the buffalo! Combine the ingredients for the marinade with a dozen chicken wings, and set aside in the fridge for 2 hours or overnight if possible to allow all those flavours to work their magic. Before frying, combine the coating ingredients excluding the egg. Whisk the egg separately, dunk in the wings, then roll liberally around in the dry coating mix. 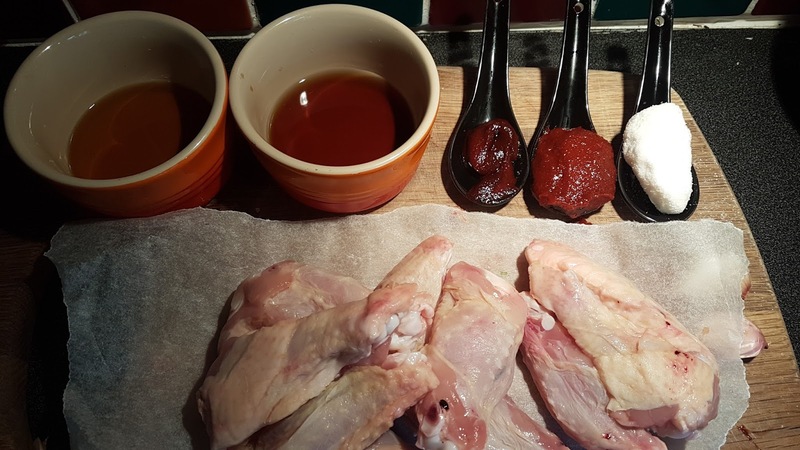 The cornflour will help give these wings a real crunch. For the dip, crumble the cheese and whisk together with creme fraiche and the mayo, then add the lime juice and salt to taste. To serve, load the wings onto your plate with a generous heaped tablespoon of blue cheese dip. You'll probably have too much dip, so make sure there's some celery in the fridge for a snack for supper. We decided not to scale down the recipe because surely nobody in the world believes too much blue cheese dip is a bad thing. We made a potato salad with chives and capers to serve alongside. Beer-wise, a bold IPA is a perfect companion for these wings. You'll need something with a good punchy hop character to stand up to the spice in the wing coating and cut through that rich creamy dip - we chose Brew By Numbers 65/01, their first double dry hopped IPA brewed with Citra and Columbus. 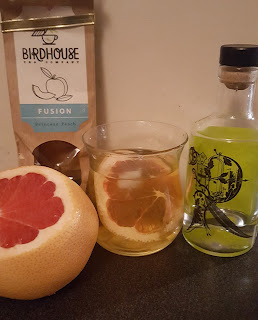 Piney and citrussy, it worked exactly as intended alongside the wings. Next up we've gone for our household favourite, Korean style wings. Again the below is a recipe suitable for 12 chicken wings. Heat all of the ingredients for the marinade together in a saucepan, then pour over the wings and leave to marinate overnight. Before cooking, make the kimchi. This recipe is for a quick version of this side dish, but it's still pretty damn delicious. First chop the Chinese leaf into pieces around 2cm square and leave to rest in salted water for at least 10 minutes, before rinsing well with fresh water. Chop the pepper and spring onion into similar sized pieces and add to the Chinese leaf. Combine all the dressing ingredients together and mix well, to a loose dressing. If you can't get hold of Gochujang then chili flakes and and chili oil can be used, but really the main character of the wings and accompaniment is helped along by this fermented paste so it's worth the effort of seeking some out. Pour the dressing over the vegetables, mix well and leave to sit whilst the wings cook. Pop the wings on a baking sheet and grill under a high setting for around 20 minutes, turning every 5 minutes to help them cook evenly and and encourage a crispy skin. Serve the wings with a hearty pile of the quick kimchi. (The rest of the kimchi will keep in a sealed jar in the fridge for 7-10 days). This works best with something really crisp and refreshing to drink - we selected Galleon, a dry hopped lager brewed by Fuller's in collaboration with Fourpure for last year's Fuller's & Friends project. 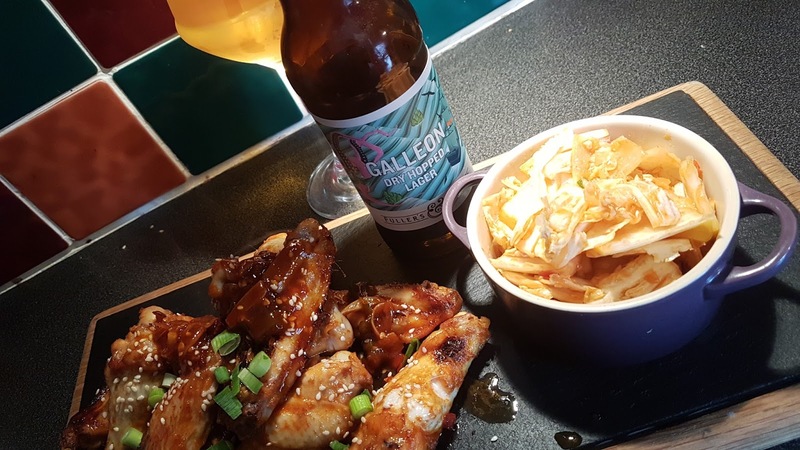 The clean character of the lager works to offset the heat of the wings and cuts across the palate nicely without detracting from all those delicious Korean flavours. Overall, we couldn't choose which we liked best and decided quite simply that we're all winners in the wing off. How do you wing it?